The British Academic Conference on Otolaryngology (BACO) takes place every three years. In July 2012 BACO came to Glasgow and pushed the barriers of conference content distribution and technological ambition, setting a new standard in the new world of hybrid events. The format of the three-day event consists of a main conference programme, breakout educational and continual professional development sessions, and an exhibition. Otolaryngology is the branch of medicine and surgery that specialises in the diagnosis and treatment of disorders of ear, nose and throat. 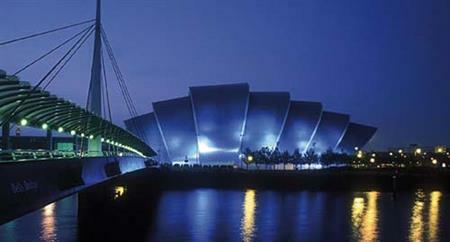 The event usually attracts between 800 and 1,000 specialists from the UK, Europe and the Commonwealth – in Glasgow it attracted more 1,200 delegates. Within the SECC, the conference took place in the Clyde Auditorium (or Armadillo) with breakout rooms housed in the Lomond Suite and the main exhibition on site, and linked to the conference by a walkway, in Hall 2 of the main exhibition centre. Within the exhibition hall professionals were able to practice endoscopy and other complex surgical procedures on highly sophisticated dummies. Also for the first time H.M. Scottish Inspector for Anatomy approved a special license for one of the lecture theatres in the Lomond Suite to be used throughout the conference with international surgical experts performing live surgery on cadavers in an interactive way to the surgical delegates." These sessions were ambitious. Working with the Live International Otolaryngology Network and using High Definition Video Conference Systems, the SECC was able to link operation, to the audience in Glasgow. Delegates were able to view edited images from three camera’s covering the surgery, including an HD microscope. They were then able to simultaneously view a presentation from a world-leading professor in Utrecht as he commented on the surgery. This was the first time such an ambitious vision was undertaken by the event organisers. "People travel from around the world to visit our conference because of the excellence of content we give them," said Dr. Brian O’Reilly, who coordinated the conference on site in Glasgow. "These video streamed sessions allowed us to link in content taking place in two other locations to our conference in Glasgow, with the same level of experience and interaction. "This is the essence of hybrid ­– an event with multiple audiences all interacting, live experience and genuine professional discovery."